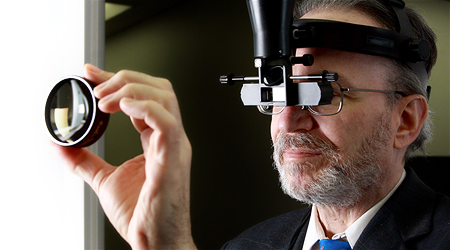 Rajini Seevaratnam, OD, is a board-certified optometrist with the Washington Eye Institute. She is a member of the American Optometric Association and is currently licensed in Maryland, DC, and Virginia. Her areas of interest include primary eye care, contact lenses, dry eye, as well as ocular disease and surgical co-management. 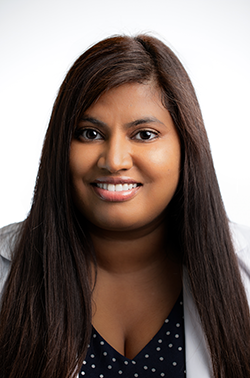 Dr. Seevaratnam earned her OD degree at The New England College of Optometry in Boston, MA where she was a member of the Beta Sigma Kappa Optometric Honors Society. Her clinical experiences include ocular disease at the VA Hudson Valley Healthcare System in New York, low vision at the VA West Haven Healthcare System in Connecticut, private practice at Doctors Vision Centers in North Carolina, and several primary eye care rotations in Massachusetts (Fenway Community Health, South Boston Community Health, Martha Elliot Health Center, and New England Eye Roslindale). Originally from Toronto, Canada, Dr. Seevaratnam earned her BSc with Honors Specialization in Kinesiology at The University of Western Ontario, and earned her MSc completing a thesis on Amyotrophic Lateral Sclerosis (ALS) at York University. Prior to her career in optometry, Dr. Seevaratnam published several journal articles on gastric cancer while working as a research associate at Sunnybrook Health Sciences Centre in Toronto, Canada. During her spare time, Dr. Seevaratnam enjoys traveling, hiking, and exploring the DC area. As our newest addition to the Washington Eye Institute, Dr. Seevaratnam (aka Dr. See) is currently welcoming new patients!